This post is sponsored by Hatfield and SheKnows Media. All thoughts and opinions are my own. The holiday season is my favorite time of year – not only for the celebrations and the gatherings of family and friends, but for the food. I have spent years gathering favorite recipes from my Grandma, my mom, my Aunts, and friends that have crossed my path. One of my biggest challenges is adding new recipes to my holiday menu because I tend to get stuck making the same old faithful recipes over and over again, year after year. This year, we’re reimagining our holiday meals with some new flavors and fresh ideas, thanks to Hatfield. 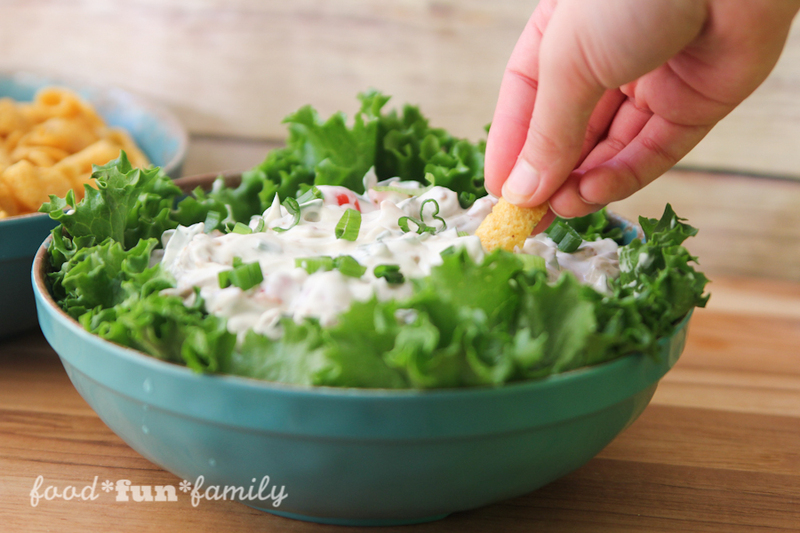 And I’m starting with a fabulous dip that is already a huge hit with my family! Everyone loves BLTs (they’re one of our favorite dinners to throw together when we don’t have a lot of time to cook!) so I knew that making a BLT-inspired dip would be popular. Boy, did we hit the mark on this one! I mean – BACON. 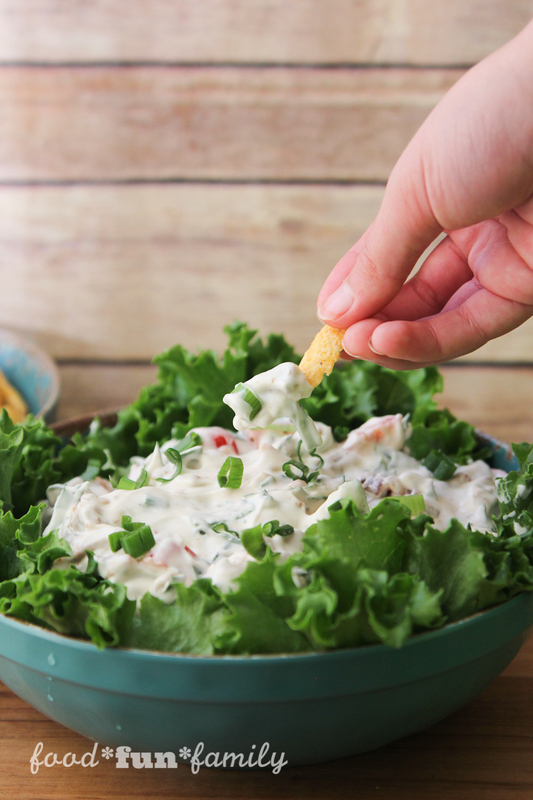 This dip is a perfect pre-meal appetizer for any holiday meal or party. When I’m cooking for our big holiday family dinner, I spend hours and hours in the kitchen. It’s a lot of work, but I really do love it. The only problem? I get hungry while I’m preparing that big meal. I love to have a few appetizers handy, not only to keep family and friends happy (and patient!) but to keep MY belly satisfied so I don’t become a grump by the time dinner is ready to be served. 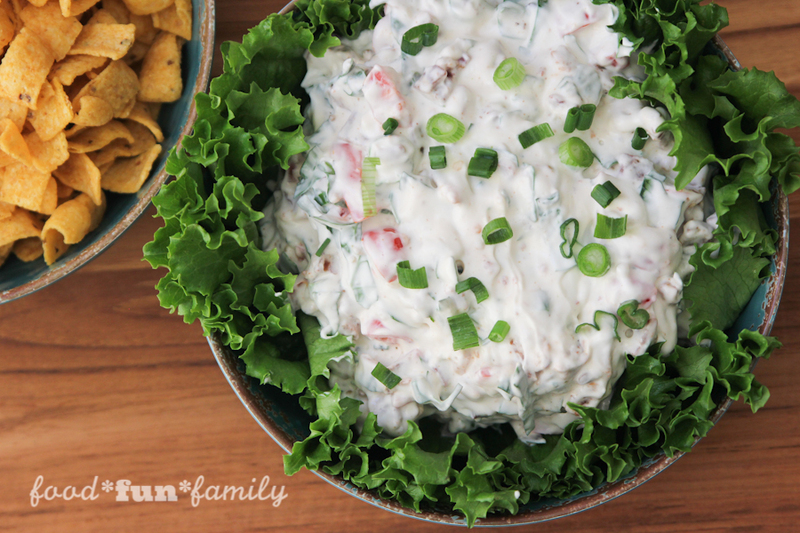 I can’t believe how much of a hit this BLT dip was with adults and kids alike. I have tried BLT dips before, but I I’ve always noticed they were missing the “L” in the recipe. Because I’m such a fan of fresh spinach, I thought I’d try creating a dip with chopped spinach in it (to replace the lettuce in the BLT). The result was near to perfection! And since this dip is best served after it has chilled overnight, it’s a perfect make-ahead dish so that you can free up some time when you’re getting ready to gather with family and friends. Of course, while I was cooking the Hatfield thick cut bacon for the recipe, I did have to steal a slice or two for myself (and my youngest son, who was willing to help in exchange for a piece of bacon!). Mix all ingredients in a medium bowl. Cover and refrigerate overnight or for at least 2 hours for flavors to blend. Sprinkle with additional diced green onions. Serve with corn chips or crackers. Hatfield is one of Pennsylvania’s heritage brands. Hatfield products are all about keeping things delicious, simple and stress-free in the kitchen. Hatfield promotes the importance of having time to spend with your family. Mealtime is family time – no matter where the meal takes place. The Hatfield brand character is high quality, trustworthy, knowledgeable, American-made, family-owned, value-based company. Find out where to buy Hatfield products near you here. What is your favorite recipe that includes bacon? Comment below for a chance to win a $100 Visa gift card! We love bacon wrapped shrimp with BBQ sauce or honey mustard sauce. My favorite recipe that includes bacon is a nice BLT club sandwich for lunch-time. This looks delicious! My favorite bacon recipe is blt wraps. Take romaine lettuce leaves, “butter” the leaves, add bacon and a couple tomato slices and devour. So good. I love totchos with bacon. 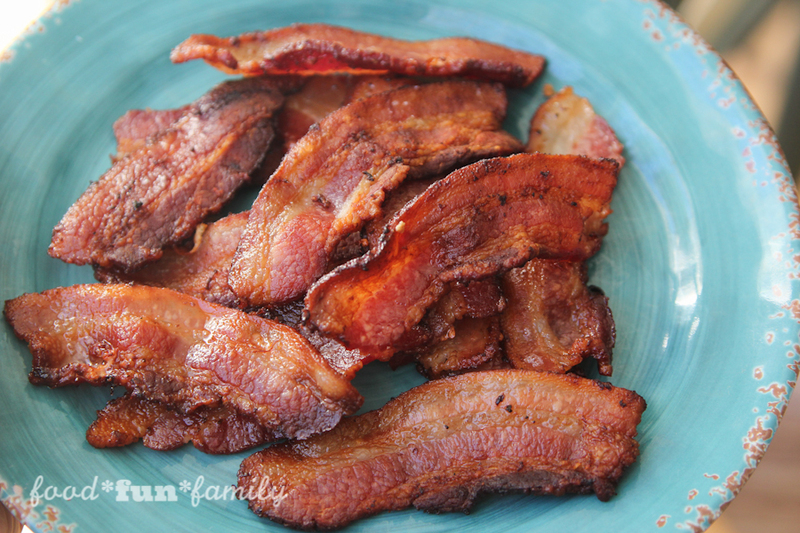 My favorite recipe that includes bacon would have to be my green beans I love to make! I love to use bacon to season a big pot of black eyed peas or pinto beans. I love Kidney bean Italian Casserole and bacon wrapped shrimp! Bacon goes with just about everything. Lately, my favorite way to use bacon is in chocolate chip cookies. If you haven’t tried it, you’re really missing out! Pair it with dark chocolate chips and candied pecans! Make them for Christmas and see if anyone can guess the secret ingredient! I love to bake cinnamon rolls for my family at Christmas time, and I think a few strips of bacon would be a delicious accompaniment along with a hot cup of coffee. Everyone loves bacon, and it goes with everything! I like to make rumaki appetizers with water chestnuts, chicken livers and bacon. This recipe is a keeper. I have to make this for my family. I’m sure that they will love it. I like making appetizers using bacon. We’ll wrap shrimp, scallops, and tater tots. Everyone in my family seems to love anything with bacon. 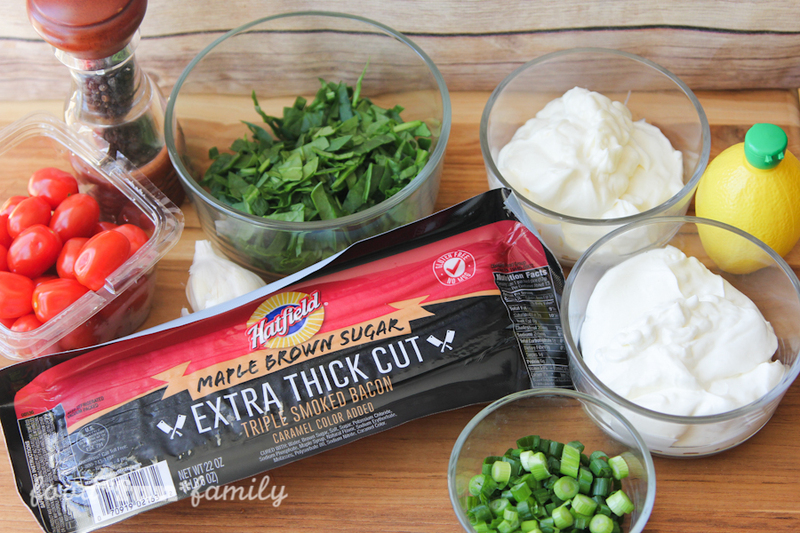 This looks like a yummy recipe – I love a BLT sandwich on white toast! My favorite bacon recipe is a chicken breast wrapped with bacon and Swiss cheese baked in the oven. I so enjoy a cold BLT pasta salad – oh yum! My favorite bacon recipe to make for the holidays, or really any time, is overnight breakfast casserole! I love to make it for holidays because it’s so easy, yummy and great for a crowd! My favorite bacon recipe is candied bacon. I make a quiche-like breakfast pie that has a bacon lattice crust on top. So yummy! I like bacon in cold seafood dips, ingredients vary by what’s on hand. I love bacon wrapped stuffed red roasted peppers. My favorite recipe that includes bacon is Loaded Mashed Potato Bake. My family loves Haluski with bacon, so good. Blt’s are a standby here too. Where do I begin??? I love bacon! Especially on Ree Drummond’s ranch chicken! It is sooooo delicious! What recipe isn’t the best with added bacon?! If I had to pick one, it’d be egg muffin cups with bacon strips on the bottom! 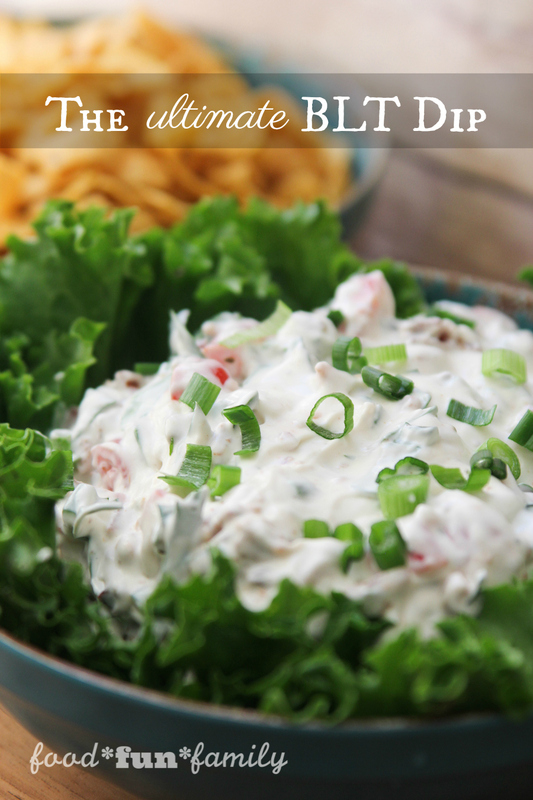 What a delicious and flavorful dip!! My favorite recipe that includes bacon is a BLT sandwich. Bacon Wrapped Dates . Thank you for the chance to win this! I love making bacon wrapped asparagus! Tat looks so good. Happy Holidays! My favorite is a Potato Bacon Casserole. My favorite recipe that includes bacon is quiche. My favorite recipe that includes bacon is bacon and cheddar biscuits! I like to make chicken wrapped in bacon baked in the oven. 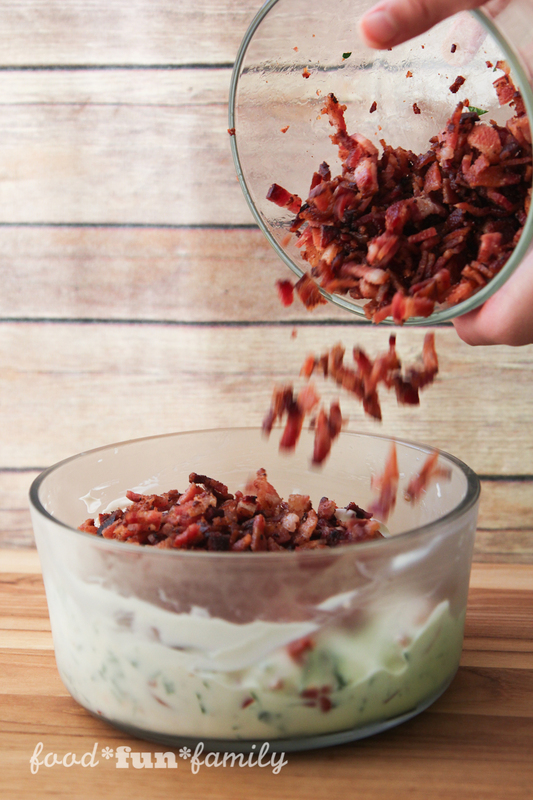 My favorite is bacon jalapeno popper dip. I love bacon on my cheeseburger with bbq sauce and onions. I love cobb salad with bacon! I love Bacon in my Bacon, Cheese, mushroom omelets.